In Fall 2018, the English Department is rolling out a new concentration in Writing, Rhetoric, and Publication. Chris Warnick will offer the introductory course, ENGL 225: Intro to Writing Studies, wherein students will have the opportunity to research writing as both process–how it’s made–and as product–what it does. A draft of a syllabus is available here. Bonnie Devet will offer a section of ENGL 334: Technical Writing in which students will gain experience writing and editing workplace genres. 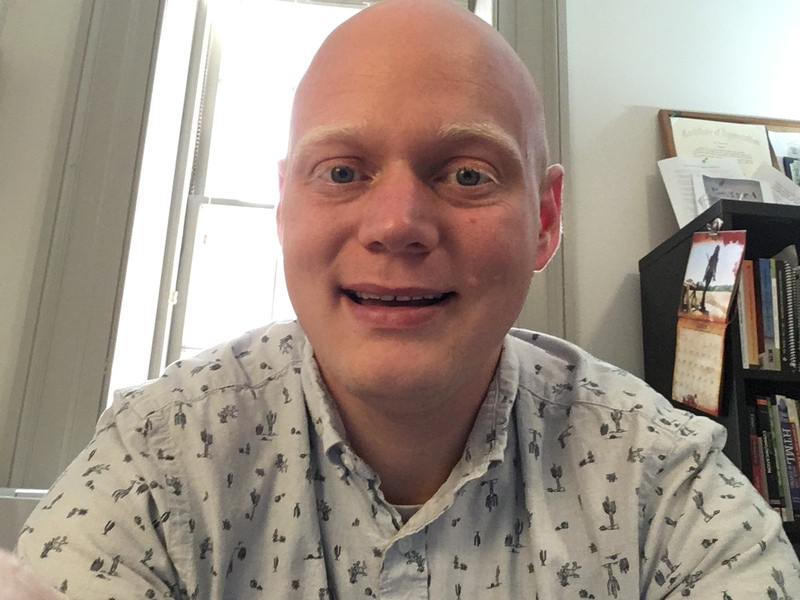 Jacob Craig will offer a newly-minted course, ENGL 369: Writing for the Web. 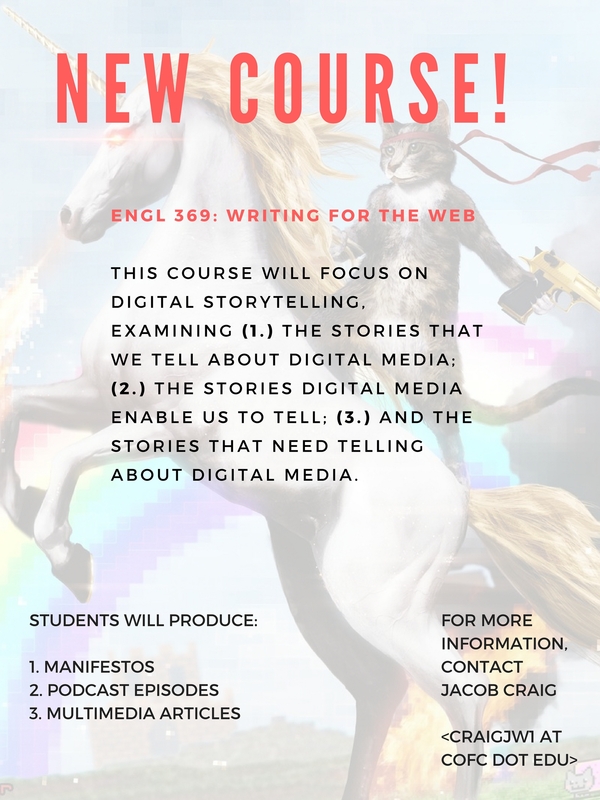 This section will be focused on digital storytelling–more info on the flyer to the right. And the Poet Laureate of South Carolina, Marjory Wentworth, will be offering a special topics course ENGL 366: Writing for Social Justice, a course informed, in part, by her co-authored book We Are Charleston.